The common name Metalmark refers to the small metallic-looking spots commonly found on their wings. There are approximately 1.000 species of Metalmark butterflies in the world. The family is represented both in the new world and the old world. Limenitis Artemis is a North American brush-footed butterfly¸ common throughout much of the eastern untied states. It is named for the red spot on it’s under wing. The top of the wings are notable for their iridescent blue markings. The Red-Spotted purple is a mimic of the poisonous pipe vine swallowtail and is typically in open woodlands and along forest edges. 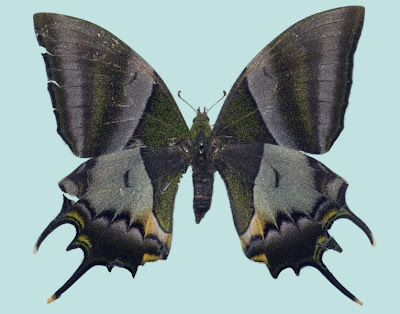 This butterfly is restricted to mountainous wooded districts¸ board leafed ever green forest. The caterpillar is green with a large head and eats the laurel like shrub.